All schools may have creative students able to design their own school ball invitations, however you may like to go with a professional graphic designer. When it comes to printing invitations in Dunedin, we advise that you ask the printer for samples of the finish they provide and how long it will take. For faster printing choose digital technology however offset printing allows you to be more creative with your tickets and invitations using different shapes other than the standard rectangle. 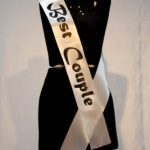 When it comes to invitations, and prizes and gift ideas or those printed sashes for your “king” , “queen” or “belle” and “beau” Schoolball.co.nz is only too happy to recommend the following Dunedin graphic designers, digital printing companies and suppliers of printed sashes and gifts. BALL SASHES – Ball/Party/Award/Beauty Pageant/ or any Special Occasion! We will complement your Ball/Party/Special Occasion theme to make you uniquely individualised satin sashes.